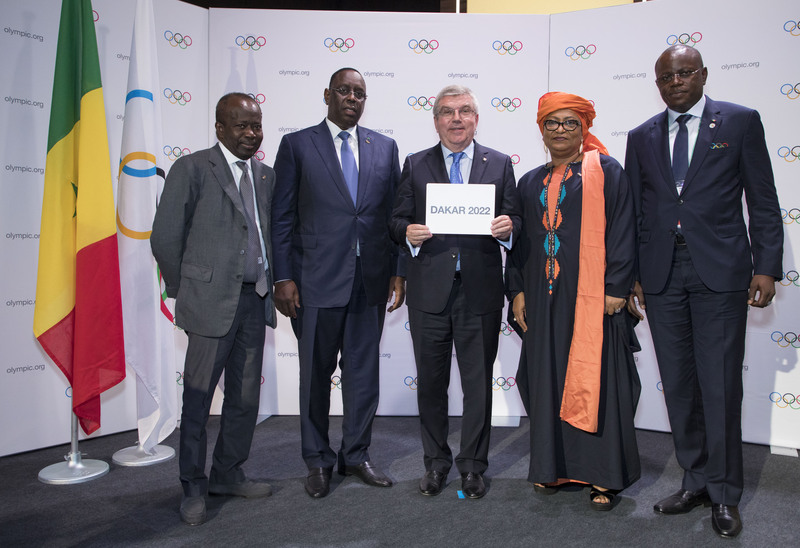 IOC president Thomas Bach with the Senegal delegation at the Youth Olympic Games in Buenos AiresSenegal will host the fourth edition of the summer Youth Olympic Games in 2022 – the first time an Olympic event will be held in Africa. The International Olympic Committee (IOC) membership unanimously approved Dakar to be the host city during the IOC Session in Buenos Aires. Senegal President Macky Sall was present to see International Olympic Committee members confirm the executive board’s preference from four candidates. “In Africa, when a family organizes a party all the neighbors chip in and they help organising the event,” said Lydia Nsekera of Burundi, who also sits on FIFA’s ruling council, responding to a fellow IOC member’s question about Senegal’s economic indicators. In reports by past and future Olympic organising committees about their work, the Pyeongchang Winter Games reported an operating profit of $55 million.